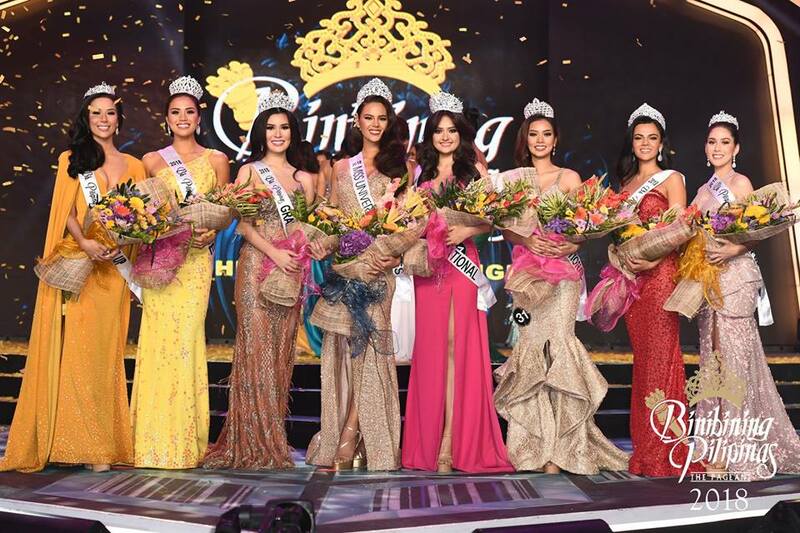 MANILA, Philippines - (Updated as of 1:10 am) The six reigning Bb Pilipinas queens finally crowned their successors in the grand coronation night on Sunday, March 18, 2018 at the Smart Araneta Coliseum in Quezon City. The full list of winners and updates are available on this page as announced online. The 55th edition of Binibining Pilipinas highlights the country's new representatives in two major international beauty pageants: Miss Universe Philippines 2018 crowned by Miss Universe Philippines 2017 & Miss Universe 2017 Top 10 finalist, Rachel Peters and Binibining Pilipinas International 2018 crowned by Binibining Pilipinas International 2017, Mariel de Leon. For the minor competitions: Bb. Pilipinas Supranational 2017 & Miss Supranational 2017 Top 10 finalist, Chanel Olive Thomas; Bb. Pilipinas Grand International 2017 & Miss Grand International 2nd Runner-up, Elizabeth Clenci; Bb. Pilipinas Intercontinental 2017 & Miss Intercontinental 2017 1st Runner-up and Queen of Asia & Oceania, Katarina Rodriguez and Bb. Pilipinas Globe 2017 & Miss Globe 2017 1st Runner-up, Nelda Ibe relinquished their titles to their respective successors as well. According to Bb Pilipinas official website, the roster of aspirants this year is composed of registered professionals, flight attendants, entrepreneurs, public personalities, models, students and pageant veterans. Bb Pilipinas 2018 Coronation Night will be aired via delayed telecast on ABS-CBN on Sunday at 9:45 p.m after "I Can See Your Voice." The show will last for three hours and expected to finish past 12 am. on Monday, March 19. Note: Telecast on the Kapamilya network will go live during the announcement of title holders. This is after the long break due to deliberation of final results. 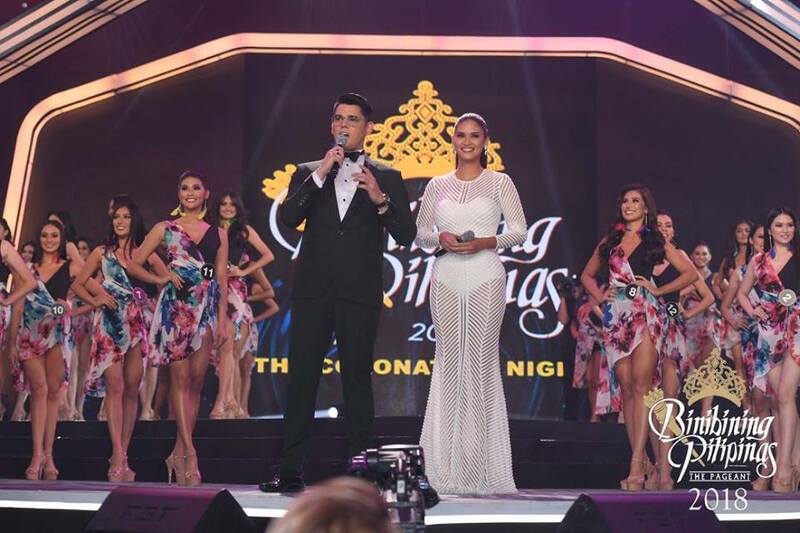 Actor Richard Gutierrez joins Miss Universe 2015 Pia Wurtzbach as hosts of the event. Who will be crowned the Miss Universe Philippines 2018? Tell us in the comments section below.